There is no cursory reasons to believe that this California election will go any way other than that of other recent statewide elections. Elected Republicans in California are becoming so rare that under liberal bureaucratic, politically correct definitions, they should be officially placed on the endangered species list and be entitled to federal conservation protections. 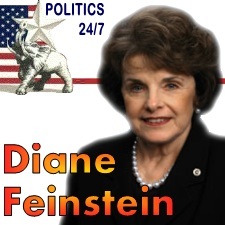 However for the first time since Feinstein was elected to the U.S. senate in 1992, more Californians do not want her re-elected than do. In most other states, this would lead to a concerted effort by the like of the Republican National Senate Committee to mount a concerted effort in the race and pump sizeable amounts of money in to it. But that is not the case, at least not yet. 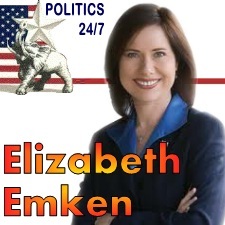 Given such factors as the overwhelming Party enrollment benefiting Democrats in the state, in addition to Feinstein’s name ID and the strength and size of her organizational support, a long with a presidential race that is expected to see liberals coming to vote in the polls en masse, makes it unlikely for the recently nominated, relatively unknown Elizabeth Emken to get the type of establishment and popular grass root support that could capitalize on the fact that voters of the Golden State would like to replace Feinstein in the Senate with someone new. But that is quite an unfortunate situation because Emken has much going for her and if given the proper support, a perfect storm of political circumstances and public sentiments could come together to allow Elizabeth Emken to pull off a groundbreaking, 2010 Scott Brown-like, special election, upset victory. The results of recent ballot initiatives in California that rejected such things as tax increases and embraced curtailing troubling public pension policies could be a sign that many California’s are finally becoming fed up with the liberal status quo that has been destroying their state’s economy and has made California a leader in the proliferation of regulations to govern the personal lives of individual citizens. 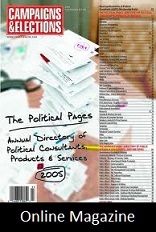 With Democrats ensconced in the majority and in control of every branch of state government as well most California cities and urban center’s, they are the establishment and they have come to represent all aspects of the establishment political apparatus that many Americans have a bad taste for and that many Californians may very well be developing. In many other states and regions of the country this anti-establishment sentiment has compelled many voters to cast protest votes and although such decisions are typically made against a candidate more than for the opposing candidate, we have seen that if the anti-establishment candidate can provide voters with a good reason to vote for them in addition to their being an instrument to protest agaisnt the establishment with, then voters will support that anti-establishment candidate in numbers large enough enough to defeat the incumbent establishment candidates that they are running against. And in the case of Elizabeth Emken, she offers voters many good reason to support her. She is a government outsider with experience as an IBM efficiency expert and as an activist in DC for autistic children. That activism has provided her with an impressive degree of experience with the legislative process which she worked with when she helped to shepherd the passage of Children’s Health Act of 2000 and the Combating Autism Act of 2006. Emken’s respectable experience with the legislative process combined with her outsider status, freshness of face and air of new blood, along with her message of out with the old and in with the new, could actually wind up producing the premier upset election of 2012. It could produce the type of upset Republican win that will make talking heads claim to be the strongest indication of just how much trouble Democrats are in all across the nation. That’s what could be. But it is not what will likely be. Even though this perfect storm in California is developing, forecasters are not seeing it and the lack of any decent warning could allow it to go unnoticed until it’s to late to put Emken over the top. Given the perceived lock that Democrats have on California in addition to the incredible amount of money that would be needed to actually take advantage of this perfect political storm, the powers that be will not be so quick to devote the resources that will be needed in this race. There are signs that if they wanted, the G.O.P. and Mitt Romney could even make it a real race for California’s electoral college votes, but doing so would draw upon needed resources in other must win, and much closer races such as Ohio, Virginia, and Florida. That thinking at the top of the G.O.P. ticket wont help Emken who will be further down the ticket. So while I contend right now that Feinstein will go on to win her fifth election to the U.S. Senate, I also contend that this race has the potential for for producing the most surprising results since Scott Brown succeeded Ted Kennedy in his long held Massachusetts senate seat. And when I say surprise, I mean surprise, because I do not think polling in this race will accurately reflect voter sentiments. As such, few will be paying much attention to it.